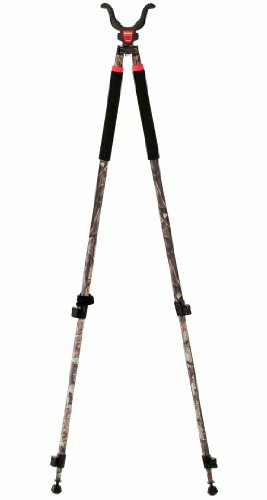 The Bog-Pod CLD-2 Camo Bipod is part of the CLD Series. The CLD series builds upon the standard for shooting sticks. Decked out in camouflage with black cushioned grips, Rapid Lock Leg adjustment and screw out spike feet. This bipod will be rock steady and ready to perform in even the toughest conditions. Ideal for hunting, spotting and hiking. Three-section, telescoping legswith height markers for quick, exact length adjustments plus leg stops to prevent over extension Rapid adjust twist locks Can be used in sitting, kneelingor standing positions with legsextending from 22" to 68"
If you have any questions about this product by Bog-Pod, contact us by completing and submitting the form below. If you are looking for a specif part number, please include it with your message.